Sandip M Hulke, Yuganti P Vaidya, Amandeepkour R Ratta. Background: Exercise training-induced hemodynamic and electrophysiological changes in the myocardium lead to physiological left ventricular (LV) hypertrophy with preserved cardiac contractility and function, how much exact duration and intensity is enough for that?, is still not known. This must be known to clinician as the increasing involvement of young athletes in intensive training regimens. Aims & Objective: To evaluate morphological changes in heart by echocardiography with sixteen weeks of exercise. Materials and methods: Study comprises of sixteen weeks duration and was done on the students of physical education.This was a longitudinal study in which eighty-five subjects (43 male, 20.11 yrs ±1.137, 42 female, 19.81 yrs ± 1.89) were assessed using echocardiography and Medical Graphics CPX-D (for aerobic power) before the start of exercise program and at the end of exercise program. Statistical analysis was done using paired t test using Graph pad prism 5 software. Results: No significant change was found in left ventricular morphology and ejection fraction after exercise program. Conclusion: The results of this study suggest that the exercise training over a period of sixteen weeks doesnâ€™t influence cardiovascular morphology, but causes improvement in aerobic power. 1. McDonald MP, Sanfilippo AJ, Savard GK. Baroreflex function and cardiac structure with moderate endurance training in normotensive men. J Appl Physiol 1993;74:2469-77. 2. Rodrigues AC, de Melo Costa J, Alves GB, Ferreira da Silva D, Picard MH, Andrade JL, et al. Left ventricular function after exercise training in young men. Am J Cardiol 2006;97:1089-92. 3. Bengt Saltin. Training for Anaerobic and aerobic power. In, McArdle WD (ed). Exercise physiology,Energy, Nutrition and Human Performance. V edition. Philadelphia, Baltimore, Newyork, London, Hongkong, Sydney, Tokyo, Lippincort William and Wilkins Publisher,2001; 459 – 499. 4. Sahn J, DeMaria A, Kisslo J, Weyman A. Recommendations regarding quantitation in Mmode echocardiographic measurement. Circulation 1978;58:1072-83. 5. Devereux RB, Liebson PR, Horan MJ. Recommendations concerning the use of echocardiography in Hypertension and general population research. Hypertension 1987;9:97-104. 6. Ostojic SM. Estimation of body fat in athletes: skinfolds vs bioelectrical impedance. J Sports Med Phys Fitness 2006;46:442-6. 7. Mihl C, Dassen WR, Kuipers H.Cardiac remodelling: concentric versus eccentric hypertrophy in strength and endurance athletes. Neth Heart J. 2008;16:129–33. 8. Wolfe LA, Laprade A, Burggraf GW, Norman R. Cardiac response of young to conditioning for 10 km race. Int J Sports Med 1992;13:384-9. 9. Shapiro LM, Smith RG. Effect of training on left ventricular structure and function; echocardigraphic study. Br Heart J 1983;50:534-9. 10. Saito K, Matsushita M, Matsuo A. The effects of training on left ventricular systolic and diastolic function in female college rowers. Jpn Heart J 1998;39:411-7. 11. Andersen LJ, Hansen PR, SÃ¸gaard P, Madsen JK, Bech J, Krustrup P. Improvement of systolic and diastolic heart function after physical training in sedentary women. Scand J Med Sci Sports. 2010;20:50-7. 12. Madeira RB, Trabulo M, Alves F, Pereira JG. Effects of chronic exercise training on left ventricular dimensions and function in young athletes. Rev Port Cardiol 2008; 27:909-22. 13. duManoir GR, Haykowsky MJ, Syrotuik DG, Taylor DA, Bell GJ. The effect of high-intensity rowing and combined strength and endurance training on left ventricular systolic function and morphology. Int J Sports Med 2007;28:488-94. 14. Rubal BJ, Al-Muhailani AR, Rosentswieg J. Effect of physical conditioning on the heart size and wall thickness of college women. Med Sci Sports Exerc 1987;19:423-9. 15. Goodman JM, Liu PP, Green HJ. Left ventricular adaptations following short-term endurance training. J Appl Physiol 2005;98:454-60. 16. Bjørnstad H, Storstein L, Meen HD, Hals O. Electrocardiographic findings of repolarization in athletic students and control subjects. Cardiology 1994; 84:51-60. 17. Björnstad H, Smith G, Storstein L, Meen HD, Hals O. Electrocardiographic and echocardiographic findings in top athletes, athletic students and sedentary controls. Cardiology 1993;82:66-74. 18. Wolfe LA, Cunningham DA, Rechnitzer PA, Nichol PM. Effect of endurance training on left ventricular dimensions in healthy men. J Appl Physiol 1979;47: 207-12. 19. Baggish AL, Yared K, Wang F et al. The impact of endurance exercise training on left ventricular systolic mechanics. Am J Physiol Heart Circ Physiol 2008;295:1109-16. 20. Schaefer ME, Allert JA, Adams HR, Laughlin MH. Adrenergic responsiveness and intrinsic sinoatrial automaticity of exercise-trained rats. Medicine & Science in Sports & Exercise 1992;24:887-94. 21. Gormley S. E., Swain D. P., High R. Effect of intensity of aerobic training on VO2max. Med Sci Sports Exerc 2008; 40:1336-43. 22. Helgerud J., Hovdal K., Wang E. Aerobic highintensity intervals improve VO2max more than moderate training. Med Sci Sports Exerc;39:665-71. 23. Wenger HA, Bell G J. The interactions of intensity, frequency and duration of exercise training in altering cardio respiratory fitness. Sports Medicine 1986; 3:346-56. 24. Pollock ML, Gaesser GA, Butcher J. 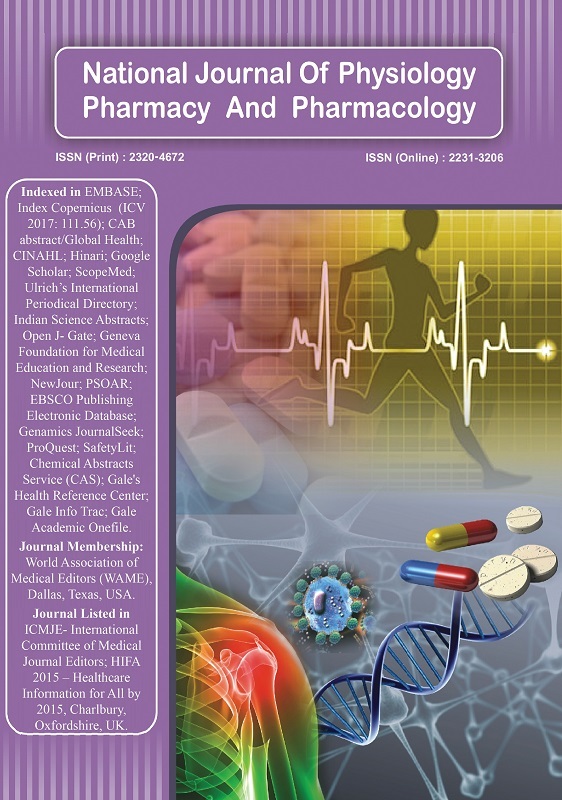 The recommended quantity and quality of exercise for developing and maintaining cardio respiratory and muscular fitness, and flexibility in healthy adult. Med Sci Sports Exerc 1998; 30:975-91. 25. Pescatello LS, Franklin BA, Fagard R, Farquhar WB, Kelley GA, Ray CA. American College of Sports Medicine position stand. Exercise andhypertension. Med Sci Sports Exerc 2004; 36:533-53. 26. Bertrand E, Frances Y, Lafay V. Physical training and blood pressure. Bull Acad Natl Med 1995;179:1471-80.
International Journal of Chronic Diseases 2016; 2016(): 1. Current Opinion in Allergy and Clinical Immunology 2014; 14(2): 106.